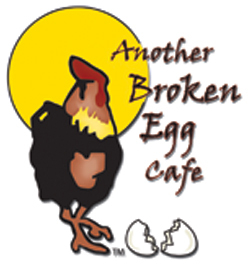 Last Saturday, we planned a group brunch to try out the newest restaurant in the Vinings, Another Broken Egg Cafe. There are several locations around the country and a few in the Atlanta area, but I’d never been. We had a 45-minute wait for our group, and the restaurant was PACKED, so I’d venture to say it’s a popular establishment. The menu is huge, which always makes me happy to have so many options, but also makes it very hard to make a decision. 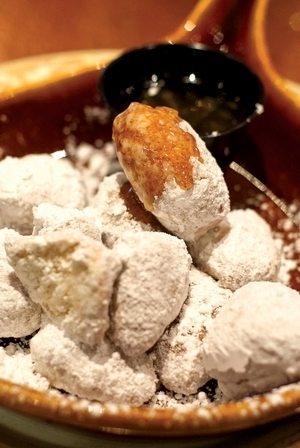 We were all intrigued by the Biscuit Beignets and ordered a couple plates to share before our meals came. Well, they never arrived… we were offered some once we already had our breakfast, but at that point why would we need more food? I’ll forgive them this time because this location is brand new, but I really wanted some beignets! I found this photo online…. makes me wish I’d had them even more. It’s a mound of biscuity, sugary goodness. Craig chose the Huevos Rancheros (served with country potatoes) and ate every bite. I think his plate was the envy of a few people at the table. I decided on the Lakeshore Scramble (also with country potatoes and an English muffin) and o.m.g. it was deeeelicious! Loads of cheese, bacon, ham, onions, and eggs (I got it without mushrooms), and I ate almost every single bite. One of my favorite brunch meals in a long time. The Biscuits and Gravy, Hey Lucy!!! Omelette, and the Bacquezo™ (Ba-Key-Zo!) Omelette were also calling my name, so it looks like I’ll be going back soon. The only thing missing was a mimosa — they don’t have their license yet. But the food was so filling and perfectly cooked. I’m excited to have a really great brunch spot in our neck of the woods!